Tamny goes far beyond taking Hollenbeck to task, asserting that many modern Austrian economists have certain views of monetary policy that are at odds with much of the rest of the contribution of the Austrian School. Tamny’s biggest point of disagreement with Austrians is over the low regard with which many Austrians hold the practice of fractional reserve banking. In so doing, he makes several arguments which cannot stand up to critical scrutiny. The crux of the Austrian position is that the practice of fractional reserve banking gives ownership claims to the same funds to more than one person. The person depositing the funds clearly has a property claim to those funds. Yet when a loan is made from those funds, the borrower now has a claim to the same funds. Two or more people owning the same funds is what makes bank runs possible. The existence of deposit insurance since the 1930s has minimized the number of these runs, in which multiple owners sought to claim their funds at the same time. The deposit insurance that prevents bank runs really amounts to a pre-emptive bailout of the banks. As this is a special privilege, rather than a natural development of the market, it follows that restrictions on fractional reserve banking would be a libertarian validation of the market rather than the statist interference that Tamny claims it to be. The problem is that the very notion of a “money multiplier” is a logical impossibility; one that dies of its illogic rather quickly if analyzed in the lightest of ways. … To the Austrians, money can be multiplied. Bank A takes in $1,000, lends $900 to Bank B, then Bank B lends $810 to Bank C, only for Bank C to lend $729 to Bank D, etc. Pretty soon $1,000 has been “multiplied” many times over as the credit is passed around. The notion of the money multiplier is by no means uniquely Austrian. I learned it forty years ago from the Paul Samuelson textbook and from the Fed publication Modern Money Mechanics. It is also the centerpiece of the monetary system chapter of virtually every textbook right up to Paul Krugman’s most recent edition. Indeed, the nature of the process is one of the most uncontroversial propositions in economics — a good definition of an uncontroversial economic proposition being one on which both Murray Rothbard and Paul Krugman are in substantive agreement. Indeed, if there were no money multiplier, one would be at a loss to explain why, until QE1 in 2008, M1 was a 1.6 times size of the monetary base, having historically been even higher. Nor would the required reserve ratio, a tool of monetary policy that became too powerful to be used after 1937, have any effect on the money supply in the absence of the money multiplier effect. What is controversial about the money multiplier is not its existence, but whether or not it creates distortions in the economy. The distortions introduced into the economy by fractional reserve banking, and to an even greater extent by central banking, comprise the central element of Austrian business cycle theory. The basic idea is that the creation of money (which is also credit, since that new money is loaned into existence) increases the supply of loanable funds and lowers market interest rates without increasing the supply of voluntary saving. This misleads investors into believing that more resources have been made available by savers for investment projects than actually have been made available. Thus, projects are started on too big a scale since many investors try to exercise a claim on the same productive resources. In so doing, they will bid up the resource prices, slashing the profitability of many of these investment projects. This is the real goods sector counterpart of bank runs in the monetary sector. Since there is no real goods sector counterpart to deposit insurance, firms will run short of the resources necessary to profitably complete their investment projects, exposing them as malinvestments and turning boom to bust. Perhaps another logical response to this line of thinking is the housing boom that took place in the 2000s. Wasn’t the latter most certainly a function of easy credit? Let’s be serious. To believe it was, that low rates set by the Fed were what made housing credit easy is to believe that rent control renders apartments abundant. But it doesn’t, nor were low rates decreed by the Fed the driver of the housing boom. Austrians agree that making loans more available than the market would make them does not make more goods available. But there is the illusion of more resources in the short run because the credit-creation process does initially commandeer resources from those whose money decreases in value through the Cantillon Effect. Unfortunately, many entrepreneurs seeking to expand their operations act on this illusion. Only when the new money reaches those whose money lost its value initially and they re-assert their demand, does the inability of new credit to create new goods become obvious. The last critique Tamny makes that I will discuss here is his implication that Austrian support for 100 percent reserves on demand deposits would make it impossible for borrowers to borrow from savers in order to lend those savings out. This is wrong. Austrians have no problem with savers buying the bonds of a firm seeking additional financing, nor with their buying stock, either directly from the company or its investment bank through an IPO or on the secondary market where it helps keep the market liquid, nor with their buying a bank CD or time deposit knowing that they will not have a claim on the funds they have entrusted to the bank until maturity. In all of these cases, intermediaries are borrowing from savers in order to lend those savings out (this is not exactly a loan in the case of stocks). What Austrians object to is banks telling depositors they still have an instantaneous claim on the funds deposited when they have given someone else a claim on the same funds. Under the elimination of fractional reserve banking, investment spending would be reduced, not to zero, but to a more sustainable level. This would not eliminate entrepreneurial errors, which are part and parcel of having to act in the face of uncertainty, but it would eliminate the cluster of errors generated by the inconsistent plans that would be made on the basis of falsified market signals of interest rates below their natural rate, thus moderating, or in the best-case scenario, eliminating the business cycle. There is another and simpler flaw in fractional reserve banking. It’s the fact that FRB involves accepting deposits worth £X, promising to return the money to depositors, while lending on or investing the money in a less than entirely safe manner. That works nine years out of ten, but it’s a mathematical certainty that at some stage, a series of silly loans will be made, at which point the £X just cannot be repaid. I.e. FRB is just asking for trouble. And that “trouble” has reared its ugly head hundreds of times throughout history, the recent crises being just to most recent episode. I.e. banks have failed regular as clockwork throughout history. FRB is no different from borrowing money from someone, then putting the money on a horse, and failing to repay the money when the horse loses. In contrast, if you borrow money off someone and AGREE share profits and losses arising from investments, or something like that, that’s open and above board. That that’s essentially what FULL RESERVE banking, as advocated by Milton Friedman, Positive Money and others consists of. Bagus, 2003; Bagus, Howden and Block, 2013; Barnett and Block, 2005, 2008, 2009; Baxendale, 2010; Block, 2008; Block and Caplan, 2008; Block and Garschina, 1996; Block and Humphries, 2008; Block and Posner, 2008; Davidson, 2008; Davidson and Block, 2011; Hanke, 2008; Hollenbeck, 2013; Hoppe, 1994; Hoppe, Hulsmann and Block, 1998; Howden, 2013; Huerta de Soto, 1995, 1998, 2001, 2006, 2010; Hulsmann, 1996, 2000, 2002a, 2002b, 2003, 2008; Murphy, 2010; North, 2009; Polleit, 2010; Rangeley, 2014; Reisman, 1996, 2009; Rothbard, 1975; 1990, 1991, 1993; Salerno, 2010A, 2010B, 2011. Block, Walter and Kenneth M. Garschina. 1996. “Hayek, Business Cycles and Fractional Reserve Banking: Continuing the De-Homoginization Process,” Review of Austrian Economics, Vol. 9, No. 1, 1995, pp. 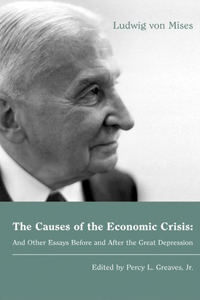 77-94; http://www.mises.org/journals/rae/pdf/rae9_1_3.pdf. Hoppe, Hans-Hermann. 1994. “How is Fiat Money Possible? or, The Devolution of Money and Credit,” Review of Austrian Economics, 7(2), pp. 49-74. Huerta de Soto, Jesús. 1995. “A Critical Analysis of Central Banks and Fractional-Reserve Free Banking from the Austrian Perspective,” Review of Austrian Economics, 8(2), pp. 25-38. Huerta de Soto, Jesús. 1998, ‘A Critical Note on Fractional-Reserve Free Banking’, The Quarterly Journal of Austrian Economics 1(4), 25-49. Hülsmann, Jorg Guido. 1996, ‘Free Banking and the Free Bankers’, Review of Austrian Economics 9(1), 3-53. Hulsmann, Jorg Guido. 2002b. “Free Banking Fractional Reserves: Reply to Pascal Salin.” Review of Austrian Economics, Vol. 1, No. 3. Rothbard, Murray N.  1975. America’s Great Depression (Sheed and Ward, Kansas City).